Flowers can brighten someone’s day, remind them that you’re thankful for their presence in your life, and cheer up a room, but they can also be an allergy-sufferer’s worst nightmare. Give a bouquet of cheery daisies to someone with a pollen allergy, and your thoughtful gift may well be an unwelcome intrusion. That’s not to say you can’t give someone with allergies a gorgeous bouquet, but you must choose the right kind of flower if you’d like to be remembered in a good way. Sometimes, people are simply sensitive to flowers with a strong aroma, but a lot of the time, pollen is the culprit. Each type of flower is built slightly differently, but they all rely on pollination to produce seeds. Some flowers have both male and female parts, so pollination can occur within the flower, and the pollen has no need to travel outside of the plant. Other plants produce male flowers and female flowers separately, in which case the pollen must transfer from the male to the female. In these cases, the flower is designed for easy transfer, and they often fill the air around them with pollen. Ah-choo! 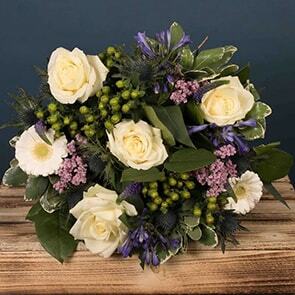 It would be very difficult to craft a bouquet out of only female flowers, and in some cases, it’s not easy to tell the difference between them anyway, but you can send flowers in certain varieties that are known to have a very low risk of triggering a recipient’s allergies. Roses: Thankfully, the traditional rose is on the approved list, even for allergy sufferers. Red is the go-to for hopeless romantics, though pink can be ideal for any special lady. Irises: Irises tend to be a fun, springtime pick and come in a wide variety of colours, from a deep purple to vibrant yellow. Gladiolas: Sometimes gladiolas are referred to as sword lilies, because of the shape of their leaves. 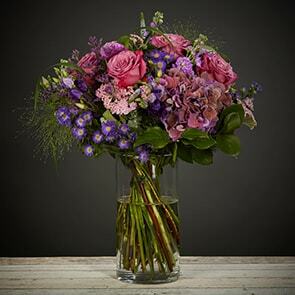 They make a big impact and stand up tall in any arrangement. You’ll see them in almost every shade, from a rich orange all the way through delicate pastels. Daffodils: Generally considered a flower of friendship or hope, daffodils are a fantastic idea for a get-well gift or for anyone who needs cheer. Most of the time we see them in yellow, but they also come in white, orange, and lime green. Carnations: One of the most versatile flowers is the carnation, which is ideal any time you wish to show affection. Though carnations once were only available in pink hues and peach, today they can be found in almost any colour. Orchids: Arguably, the most graceful of all flowers is the orchid. With its tall stem, and delicate, uniquely-shaped blossom, it creates beautiful bouquets and arrangements. Orchids are often found in white or pink, though nearly every colour, aside from blue, can be found, too. Going with any of the flowers on this list is almost a sure-bet, even for the worst allergy-sufferer, but it’s also important to examine any other elements included in an arrangement as well. For instance, baby’s breath, the small white flowers often used to fill out a bouquet, can often trigger a sneezing fit, too. If you’d like to select the perfect flowers for your allergy-prone friend or loved one, please browse the Bloom Magic flower collection. Each item in our gallery is handcrafted by a skilled florist, so you can be sure you’re ordering a high-quality (and sneeze-free!) 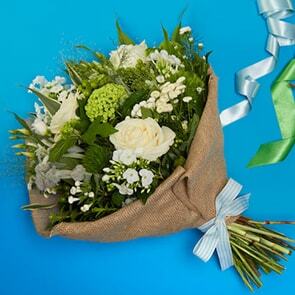 bouquet that will arrive fresh and say beautiful for a long time.